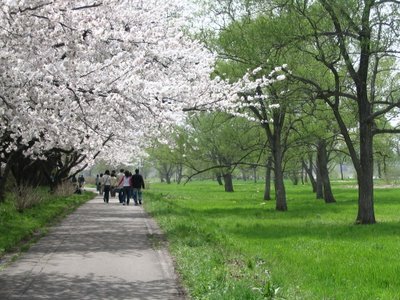 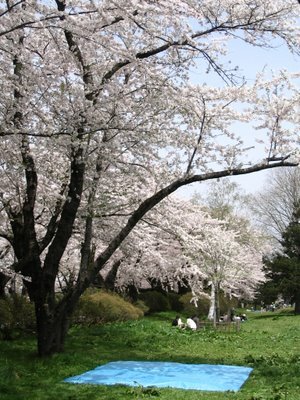 Kitakami, Tenshochi cherry avenue: officially the third most beautiful Hanami spot in Northern Japan. 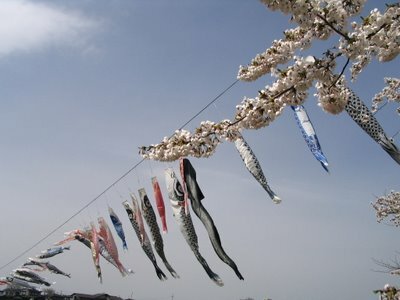 Silk koi carps stretching across the Kitakami River. 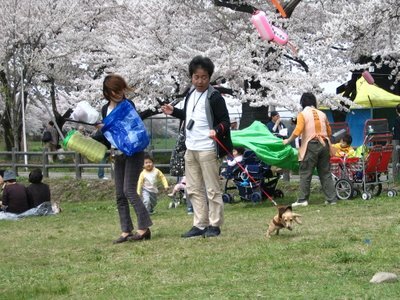 Lucky the dog is on a lead!